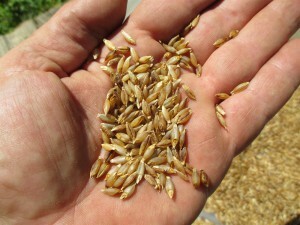 This is a landrace barley from Korea. It is a six row, spring-growth habit variety. This strain has the potential to lodge and can benefit by supporting during periods of heavy rain. It is very productive and easily threshes free from the hulls. Initial seed stock obtained from KUSA Seed Society.